Part of living a healthy, energy-filled life is making sure your body is running at peak performance. We’ve already looked at different foods to boost different aspects of your body, but now it’s time to get down to the thorny issue of weight. There is a veritable minefield of conflicting information out there. It seems that if you want to make a strong argument for your particular health regime you need to break down exactly what a calorie is or what 1 kilogram of pure fat looks like before getting anywhere. So to avoid that, I’m going to stick to the no-brainers that should also be fairly easy to implement into your life. A study from the Georgia Institute of Technology found a shift from 12-inch to 10-inch plates resulted in a 22 percent decrease in calories. With that sort of change, you could plausibly lose 4.5 kilograms in a year! Your brain is easily tricked, and if you’re eating off big plates you’re going to give yourself big portions. Likewise, smaller plates, smaller portions, and you feel just as good afterwards. 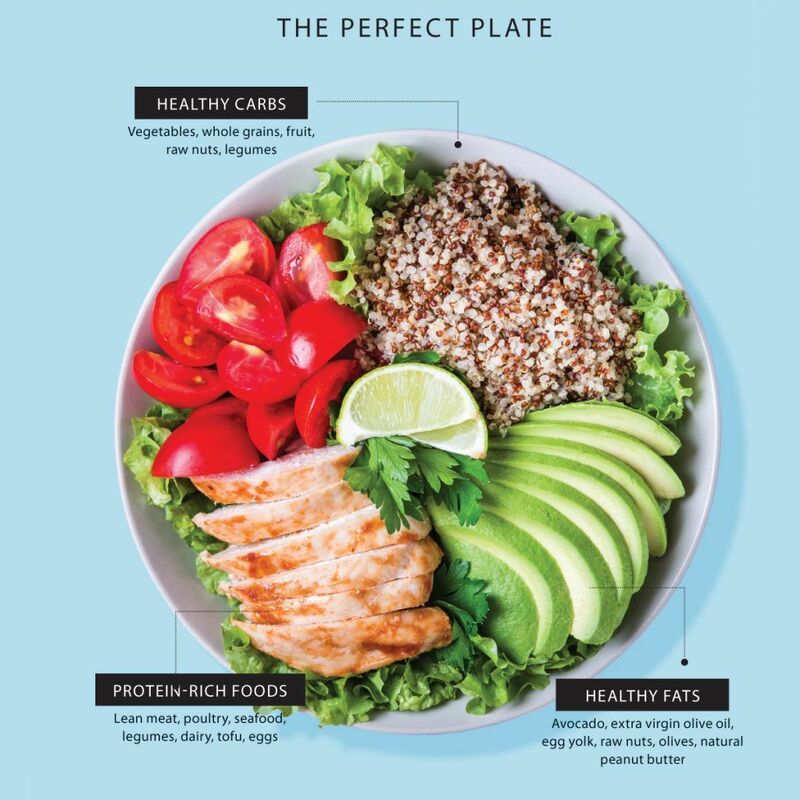 It’s been ingrained in our brains that the best way to shed those pounds is to the cut out the carbs, from the Atkins diet in 1972 to the Paleo way that surrounds us today. Of course, cutting out carbs will most definitely burn fat, however, it’s not the most efficient method. A new study concludes that dietary fat restriction results in more body fat loss than carbohydrate restriction in people with obesity. The experiment involved testing 19 adults with obesity in a metabolic ward for two two-week periods. It’s not to suggest that you should cut out all fats, including healthy unsaturated fats; it simply shows that cutting fat is the most effective way to reduce overall body fat percentage. You hydrate and also instantly feel fuller, stopping you from immediately overeating the meal you’re about to get cracking on. A lot of my weight comes from all the soft drinks I’m constantly slurping on. Cutting them out of your life can see some pretty immediate results. Including spending less time getting on first name terms with your dentist! You know those days where you are really tired and all you want to do is snack… normally super-unhealthy food like cheeseburgers and chips. This happens because you did not get your seven to eight hours of sleep and your ghrelin level gets off and in turn your leptin levels goes down. Sounds okay? Well, it isn’t, because your leptin levels are what suppress your appetite. A study found that sleep loss enhances ‘hedonic stimulus’ in the brain, underlying the drive to consume food. The constant need and desire to snack sabotages your weight loss dramatically, a lot of studies even connect sleep deprivation with obesity.